Most minority groups in the United States experience homelessness at higher rates than Whites, and therefore make up a disproportionate share of the homeless population. This includes African Americans, American Indians/Alaska Natives, and Native Hawaiians and Pacific Islanders. Hispanics make up a share of the homeless population approximately equal to their share of the general population, and Asians are underrepresented in homelessness. Click here to see more data on the race and ethnicity of people experiencing homelessness. By far the most striking disproportionality can be found among African Americans, who make up 40 percent of the homeless population despite only representing 13 percent of the general population. This imbalance is not improving over time. Why Are African Americans In Particular Overrepresented in the Homeless System? From slavery to segregation, African Americans have been systematically denied equal rights and opportunities. The effects of long-standing discrimination linger and perpetuate disparities in poverty, housing, criminal justice, and health care, among other areas. 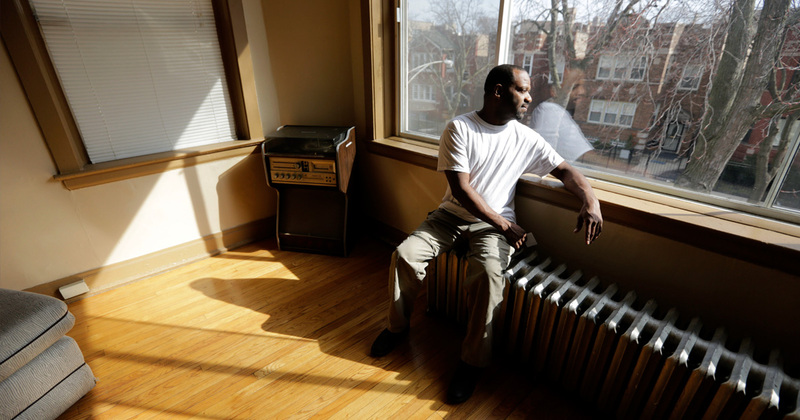 These disparities, in turn, can contribute to more African Americans experiencing homelessness. Poverty, particularly deep poverty, is a strong predictor of homelessness, and African American households are much more likely to experience poverty than their White counterparts. More than one in five (21.4 percent) African Americans live in poverty — 2.5 times the rate of Whites (8.8 percent). Black families are more likely to live in areas of concentrated poverty — areas that have limited economic opportunities, fewer services, and poorer educational resources. People who become homeless are likely to have lived in these neighborhoods immediately before their homelessness. Data show that African Americans often face barriers when attempting to move to more favorable neighborhoods. A study by the U.S Department of Housing and Urban Development (HUD) found that people of color were often shown fewer rental units, offered higher rents, and denied more leases than Whites. The incarceration rate for African Americans tripled between 1968 and 2016 and is more than six times the White incarceration rate. A history of involvement with the criminal justice system can keep people from successfully passing background checks needed to secure housing or employment. People exiting jails and prisons face significant problems in accessing safe and affordable housing, which can result in homelessness. People whose serious mental illness goes untreated are particularly vulnerable to homelessness; both poverty and lack of access to care contribute to disparities in mental health. African Americans are 10 percent more likely to report psychological distress than Whites and are far more likely to be uninsured. More than half of U.S. residents without health insurance are people of color. Any effort to end homelessness in the United States must address the range of issues that have resulted from racial inequity. This includes assuring affordable, stable housing for all. Systems, programs, and individuals that serve people experiencing homelessness should monitor their outcomes in order to eliminate disparities in the way they provide services.